One’s intuition can be a reliable guide, especially in major life decisions. 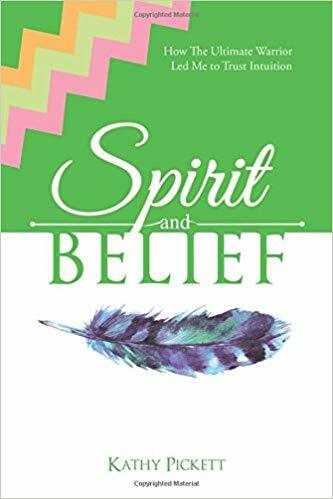 Spirit and Belief is Kathy Pickett’s testament to its power. Pickett’s book is an account of her journey of tapping into her spirituality. The author and longtime Ultimate Warrior fan started getting in touch with her intuition after the wrestler’s passing in 2014, receiving signs as she continued working with it. Her book, which started off as a blog, aims to debunk myths and doubts about mediumship. She also seeks to let her experiences encourage readers to notice the signs given to them by the universe as they learn to harness their spiritual skills. By sharing her journey, Pickett hopes it would inspire others to understand the workings of their intuitions. “If anyone is genuine in working with the Spirit World, it will be honored . . . I want to show how it can be fun and not always serious. By eliminating fear associated with mediumship, I hope to educate while also inspiring others to believe,” she says. Spirit and Belief teaches what one’s intuition can do. Readers who are interested in harboring a spiritual connection may purchase copies in selected bookstores. Book copies are available at Amazon, Barnes & Noble, www.spiritandbelief.com, and other online book retailers. Kathy Pickett has been a fan of the Ultimate Warrior since her WWE days. She hopes to motivate other people to believe in their own spiritual powers. Pickett currently lives with her family in Ohio.